Nonprofit Church Moves Phone Communications to Cloud | 8x8, Inc | 8x8, Inc.
Indian Creek Church had a 20+ year-old phone system that was dropping calls and was not worth repairing. A volunteer who had worked for Verizon stepped up to help the church migrate to an 8x8 cloud communications solution. Now Indian Creek has more phones, electronic fax and other advanced features that are helping to extend its ministries and make its employees more productive. Best of all, the church is paying 25% less than it did for traditional analog phone lines. Indian Creek Church was established just outside of Philadelphia, Pennsylvania. After years of meeting in farm houses, the church built the original meeting house, which has since been rebuilt on the same property. Additions over the years have resulted in a three story building with a library, nursery school, various class rooms, office space and a large sanctuary. As a small church, Indian Creek has simple communication needs. For nearly 20 years, its Avaya phone system easily met those needs by supporting three phones and an answering machine, along with a fourth line for fax and security system reporting. The church also used Verizon as its phone service provider. But as the Avaya phone system aged, technical problems emerged and the church phones began having intermittent problems. Because Verizon was already providing the church’s Internet and phone service, Lane initially placed the order for VoIP service through his former employer. After weeks of delays and unexplainable missteps, however, Lane had second thoughts. Lane began researching other VoIP solutions and quickly narrowed the field to Comcast and 8x8. Comcast’s service was more expensive and would require the church to rent phones, a solution that Lane did not consider cost-effective for the church. Nevertheless, he sent inquiries to both companies and was impressed to get a response from 8x8 just a few hours later on a Saturday. By Monday, Lane had scheduled a conference call with the 8x8 team, and less than a week later he received and activated the 8x8 phones. The whole process was incredibly fast and easy. With its new cloud-based 8x8 phone system in place, Indian Creek now has five phones instead of three, along with electronic fax capability. Lane is delighted to report that this expanded service actually costs 25% less than the church paid previously for four traditional phone lines. 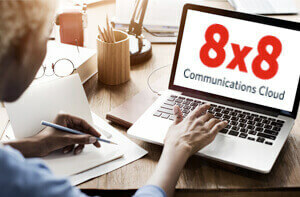 Lane notes that 8x8 also provides excellent business continuity/disaster recovery by automatically forwarding all church phones to the pastor’s cell number if for some reason service goes out. “Now we have a backup plan and a survivable phone system in case of emergency, a standard feature that was a pleasant surprise to an already impressive system” he says. 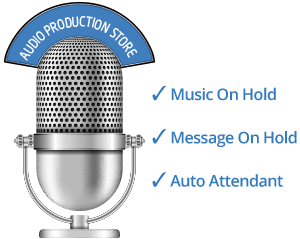 Wanted a cost-effective cloud communications (hosted VoIP) solution that would improve phone service and reduce costs.